Terms of his contract haven’t been finalized but Jose Munoz would become global COO of Hyundai Motor Co. in South Korea and president and CEO of Hyundai Motor America, three people familiar with the plan said. Former Nissan executive Jose Munoz is in negotiations to take a top leadership position at Hyundai Motor Co., Automotive News has learned. Terms of the contract haven’t been finalized but Munoz would become global COO of Hyundai Motor Co. in South Korea and president and CEO of Hyundai Motor America, three people familiar with the plan said. If a deal is reached, the hiring may be announced as soon as next week, the sources said. Hyundai's U.S. sales are rebounding as the company further revamps its lineup with new crossovers. The brand is getting ready to introduce an A-segment CUV -- the Venue -- at the New York auto show next week. The company’s U.S. sales have risen 2 percent through March in a shrinking market. The Hyundai brand's truck sales are up 29 percent during that period. Munoz, 53, abruptly resigned in January as Nissan Motor Co.'s chief performance officer. His departure came days after Nissan said Munoz had taken a leave of absence to focus on “special tasks” relating to the investigation of Carlos Ghosn, the former Nissan chairman who was arrested in Japan on Nov. 19 and is currently in jail. Munoz, in a message to colleagues at the time of his resignation obtained by Automotive News, said he had decided to leave Nissan after “some period of serious contemplation.” He promised to help the company with its probe. Munoz was chairman of Nissan’s North American operations from 2014 until last year, when he was named chairman of the automaker’s important China operations. Munoz drove the push to achieve Ghosn's bullish Power 88 midterm plan, unveiled in 2011 when Ghosn was Nissan CEO and chairman. The namesake targets were to achieve an 8 percent operating profit margin and an 8 percent global market share. Nissan missed both goals but Munoz briefly delivered another top goal for Ghosn: Capturing 10 percent of the U.S. light-vehicle market, a gain of more than 3 percentage points from the plan's starting point. In 2017, the year Power 88 ended, Nissan and Infiniti combined to book record U.S. sales of 1.59 million vehicles and record market share of 9.2 percent. 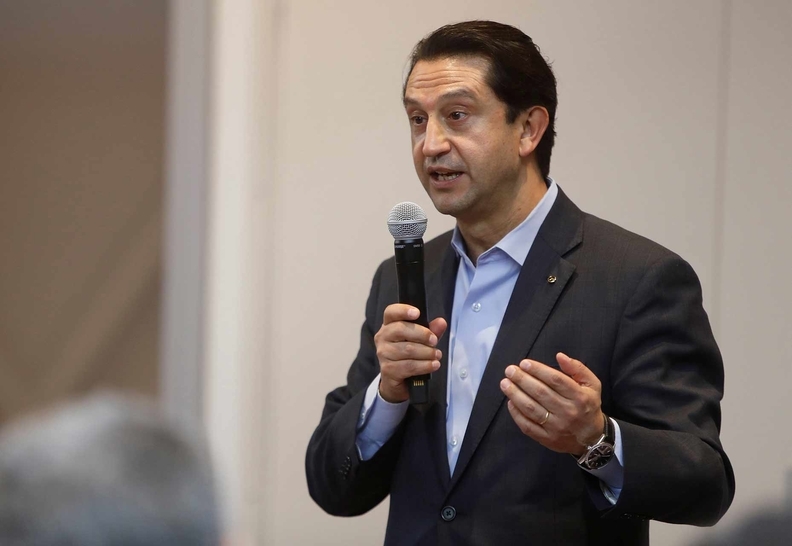 Munoz’s exit left a “big vacuum” in the organization,” Nissan National Dealer Advisory Board member Ray Brandt, CEO of Ray Brandt Automotive Group in Harvey, La., said in January.